Creative, inspired, thankful and blessed! What’s it like being 30-something? By this point, I realize that I have inevitably become my mother and have inherited all of her “mom-isms” that I SWORE I would never say or do! Thinking is an afterthought as I watch effortless clichés fly out of my mouth. I should start washing my mouth out with soap. Actually, I’m fairly positive she used to do that, too. I can taste the soap just thinking about it. Acne? Really? I never even got it this bad in high school! I’m pretty sure it could pass for Chicken Pox. No, it’s not a mosquito bite either. Why do people feel the need to ask me that? Quit asking. Blasted hormones. Isn't everybody my age expected to drive a mini-van? Not this chick. My view on mini-vans still hasn't changed. I’ll NEVER drive (another) one. No, my Pacifica was NOT a mini-van. It was a “cross-over SUV.” That’s important. Maybe my disdain comes from the fact that it was the first vehicle I learned to drive in high school. It was a Toyota Previa. Been there, done that. Don’t need the T-shirt. I thought hot flashes only happened when you’re old and gray??? 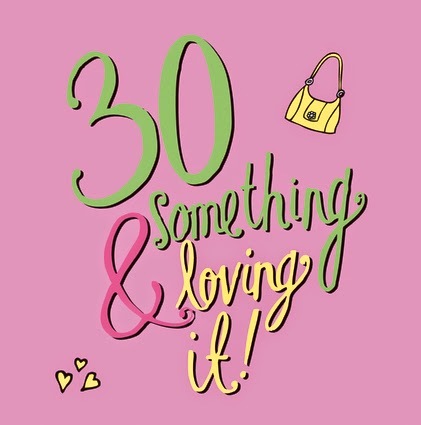 Remember when you used to think 30 was old? Now I’m just gray, not old. That’s like 55 now. I think that’s when you start getting AARP anyway. Anyway, one minute I'm freezing, and my heating pad can't get hot enough. Then the next minute, I'm sweating, and I can't get my clothes off fast enough! Blasted hormones...again. Social networking leaves me a bit befuddled. Not Facebook though; that’s still awesome even though my kids tell me it’s for old people. They obviously don’t know what they’re talking about. They must be confusing it with Linked-In. Insta-what? Then there’s Twitter…is it a tweet or a twit? I once had to ask a kid how to use Twitter just so I could tweet a tweet to a twisted twit. My everything hurts…back, neck, hips, knees. I could blame this on the aftereffects of cheerleading and give my mom the satisfaction of being right, or I could just admit that it’s early signs of aging. Still undecided. I miss clear phones, pink jellies, leg warmers, Popples, Rainbow Brite cereal and Geo Trackers. TBT (that means “Truth Be Told”…I learned it on Facebook), my dream car was a white Geo Tracker with neon pink and green accents. This void has never been filled. My generation must be the last American people group to speak English properly. I need a translator just to understand all the slang kids speak these days! Now I’m just gettin’ all up in your grill or feels or however they say it. I mean who actually came up with words like cray-cray, amazeballs and todes adorbs anyway? My spellcheck is having a hissy fit right now! It’s like red squiggles gone wild! Couldn't we just go back to “totally awesome” or “rad” or anything else from the 80’s? Wasn't I supposed to have the American Dream by now? A house, two cars, a few kids and a dog all living blissfully under one roof with cheesy smiles, matching jammies and not a care in the world? Nobody ever told me there would also be a mortgage in addition to student loans, car loans, credit card debt, utility bills, medical bills and insurance premiums. And I’m all for adoption, but I have no idea when I agreed to adopt Uncle Sam. He takes 30% of everything! After all this, what have I done with my life?!? I mean, Jesus died at 33 (yes, I know He rose again) which makes us about the same age. By that time He had already saved the world! Meanwhile, the only thing I've tried saving is my sanity! He also raised people from dead!!! I've raised kids. That counts, right? AND they are all still alive. Yeah, that definitely counts. So while my thirties are nothing like I thought they would be, they are exactly how I want them to be…complete with a great marriage, a few kids, a grand kid, a couple dogs, two rabbits and no land line. My life is not boring, that's for sure! I married my high school sweetheart and now we get to plant churches, grow in ministry and live life together. My hobby is singing, but my passion is leading worship. I love teaching others how to be free to worship and minister with authority. We have the power to break strongholds through our praise, and I love having Jeremy alongside to share it with! We have a BIG family...Javin, Kaydence, Brittany, Roman and Tina. Thank God I only had to give birth to two of them! Britt then married Nick, the best SIL we could ever ask for, and they added little Violet to the mix. Yes, this officially makes me a granny. I call myself Lovey, and my motto is this: "At least I'll be young and hip instead of old and needing a hip!"